Buy Kiteboards Online - Kitemana! If your looking for a new kiteboard Kitemana is the place to be! We have boards from all the top brand available on the market, which doesn't necessarily helps your discission making but does make it a lot more fun! Take your time to make sure you find a board which fits your style of riding. If you have a question about a certain board, please give us a call or send us an email and we will gladly guide you through the process. At the bottom of this page, we took the time to answer some of the most commonly asked questions. Read more. What type of kiteboards are there? Kiteboards come in many different types and sizes. As a beginner, you probably don't think a lot about your kitesurf style but soon you will develop one and once you do you want a kiteboard that matches your style. At that moment its time to choose a kiteboard that suits you! To make it simple as possible, we divided the different types of kiteboards into two groups: twintip, and directional kiteboards. You can ride a twintip with either your left or right feet in the front without turning your board. For beginners, this might feel unnatural because everyone has a preference, but this type of board is worldwide the most used board. This is because a twintip gives you all the freedom during freeriding in the water. 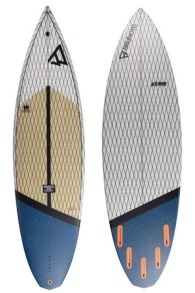 A twintip kiteboard is usually completely symmetrical in shape and therefore doesn't have a real backside but two front sides. Another type is the directional kiteboard. These boards are made to ride in one direction. If you want to make a grab you turn your complete board. These type of boards are often used to rip waves (wave/surfboards) or to compete with. The shape of a directional kiteboard is asymmetric. Each year we see an increase in boards available on the market because there are so many different styles. Every kitesurfer has his own unique style and preference. To make it all a bit less complicated, we put all the styles into 6 main groups. 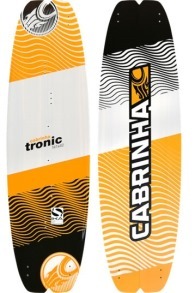 Freeride, freestyle, lightwind, wakestyle, surf and race board. Below an in-depth description of each type. Freeride is the most common style of kitesurfing. Freeriding is all about having a nice cruise and doing what you like. It has no boundaries and it's all about having fun. A jump here and there, rip some waves while you at it and rush across the water without any fuss. While freeriding you are always hooked in and it is important that you have a versatile kiteboard, which feels great under any circumstance. The kiteboard must be able to jump, but also be comfortable in waves. The most used kiteboards for this style are the twintip boards with quite a bit of flex to provide a relaxed and smooth ride at all times. Also, the outline is often somewhat rounder to ensure a forgiving character. 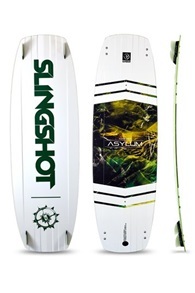 Wakestyle is a kitestyle that comes from wakeboarding. Wakestyle is a style for the advanced kiters who like to develop unhooked tricks. While riding unhooked with your kite at 11 o'clock, all the pop comes from your wakestyle kiteboard. 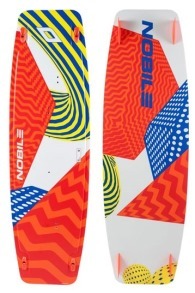 These type of kiteboard are often slightly larger for more pop and stable landings. 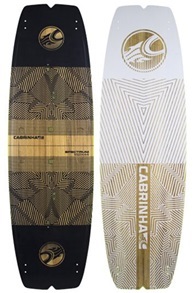 In addition, a wakestyle kiteboard has more rocker compared to a freestyle kiteboard. 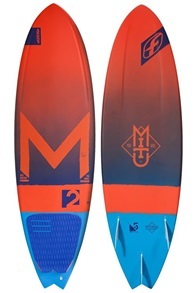 This allows you to make faster turns and gives the kiteboard a playful character. 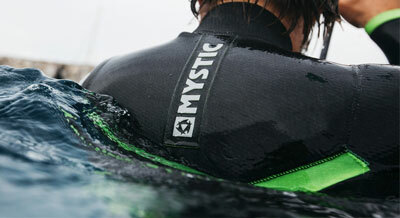 The rocker profile also makes it easier to hit obstacles and waves. The disadvantage is that fact that it's slower straight ahead, accelerates less quickly, and difficult for making kiteloops. Enabling yourself to ride with the least amount of wind sounds sweet right?! The lightweight kiteboards are made for this job! These kiteboards help you get on top of the water as fast as possible and accelerate super fast and ride easily up wind. It's also a good and fun type of board for beginners because they are stable and easy to ride. 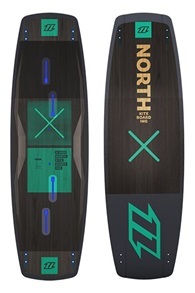 A lightwind kiteboard is a lot bigger than a standard kiteboard and sometimes also go by the name "door" kiteboards. A lightwind has a square outline and is very flat, which enables the board to speed up quite fast. Due to its large surface, it floats really well, which lets you stay on top of the water with just a few knots. With a little bit of power from the kite, you will kite away. Surfing is one of the oldest and purest water sport. For surfing, you only need a surfboard and the power of the waves to get yourself going. But you can make a very nice combination between kitesurfing and waveriding with a wave kiteboard. These wave kiteboards look a lot like a surfboard but are twice as strong so they can handle the forces created by a kite. In addition, you can ride these boards with footstraps, which also allows you to jump. Although you get the most fun from riding strapless and ripping waves in a surfer like fashion. Wave kitesurfing is really fun to do because you can grab almost every wave you encounter! 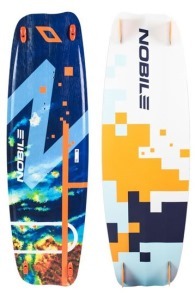 A wave kiteboard is made out of foam, surrounded by epoxy resin/glass fiber. 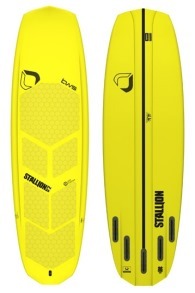 As a result, these kite surfboards are nice and firm. You don't often see a speed kiteboard but of course, we will not forget about it. Speed kiteboarding is all about getting from A to B as fast as possible. Usually, these races take place in shallow water with high wind speeds. The boards are made to provide a lot of control while kiting at high speeds. 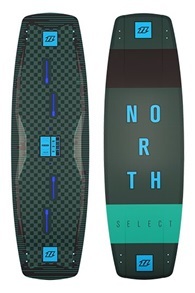 Race boards are directional and have large fins at the bottom to give you that extra grip. In addition, they are really flat, which minimizes resistance. These boards are made to go straight and offer little other options except razor-sharp straight lines. What kiteboard size do I need? Like kites, kiteboards have different sizes. 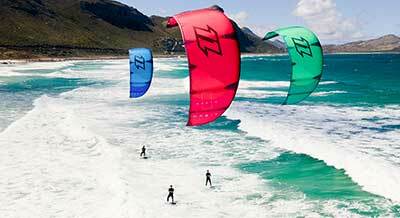 Depending on your weight and experience level, choose the right kiteboard size. Normally between 126cm to 150cm long. Twintip kiteboards often use a length and width size. The bigger a board is, the more stability it offers. 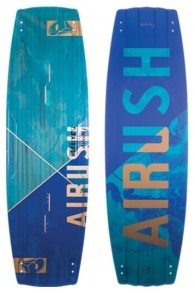 Also, a larger board rides with less wind, they ride a bit more relaxed and easier to master than a smaller kiteboard. Beginners are often recommended to start with a bigger size kiteboard. Normally a 140cm is a good size. As soon as your skills increase you can always go for a smaller board. Most advanced kiters ride on a board between 130 and 138cm. If you're heavier than 90 kilograms, you better don't go below the 140cm, this allows you to easily stay on top of the surface. If you like to ride with very little wind, choose a kiteboard above the 140cm, often a lightwind kiteboard. Also, surfboards come in different types and sizes. If you're looking for a surfboard which you can use with less wind, always pick one size bigger. Not sure which size fits your style the best? Just give us a call or send an e-mail for free advice. Each sport has their own unique set of terms. To give you a better understanding about the most commonly used terms when it comes to the shape of a kiteboard, we will explain below the following 5 terms: outline, rocker, flex, channels and concave. The outline is the shape/contour of a kiteboard. The outline has a big impact on the character of a kiteboard. If a kiteboard has a round outline, the board is often more forgiving and makes it easier to go through the chop and waves. 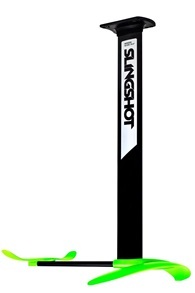 If the outline is square, it means that it offers more pop and more control at high speeds. Nevertheless, a square outline board feels less comfortable and doesn't ride as easy as a round outline board. When we talk about rocker we mean the upwards curved profile of a kiteboard. The higher the rocker profile is, the more curve it has. A board with a lot of rocker goes very easily over the chop and waves but slows down faster because of the higher resistance in the water. A flat kiteboard will accelerate a lot faster but punishes you sometimes in the chop or wave whenever you make a mistake. Some kiteboards have a so-called "continuous rocker", or a "V-rocker" profile, this means the board has a rocker shape all over the board. If a board has multiple rockers in one deck, we speak of a camber or hybrid rocker profile. Flex indicates the stiffness of a kiteboard. A kiteboard with a lot of flex offers a comfortable ride and soft landings after a jump. However, a small disadvantage, a board with more flex won't allow you to build up a lot of pop before a jump. Freestyle kiteboards are often a lot stiffer so you can pop harder. Channels are squeezed into a kiteboard to give you more grip while kiting. These channels improve the water flow beneath the board and give the fins more grip in the water. Kiteboard with a rocker profile often get these channels for extra grip, so you can ride them without fins while kiting in a park over obstacles. Lately, we see more kiteboard with channels thanks to their excellent riding behaviors. A concave is also squeezed into a kiteboard to give you more grip while edging your kiteboard. It is a negative curve in the bottom of the board. These days almost all kiteboards are equipped with one or more concaves. Some have one single concave. Others a double, triple or even a quad concave! Combined with channels, a concave offers a better water flow, more grip, and control during a kitesurf session. 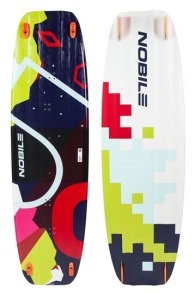 Which kiteboard is suitable for waves and which for flat water? We now know that kiteboards come in many different types and sizes. 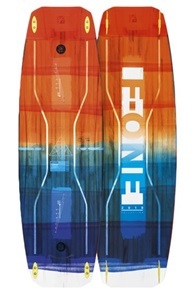 Especially the outline and rocker determine whether a board is good for flat water or waves. If you want to freeride in the waves, you need a board who adapts to these waves. 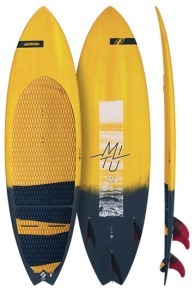 A board with more rocker navigates easily over the waves. A rounded outline also helps to cut through the waves more easily. Although more flex doesn't necessarily make it easier to ride in waves, it does make it a lot more comfortable. If you're often riding on shallow water, a flat board may be more fun because you can get to higher speeds to increase your pop or tricky. Is a boardleash recommended during kitesurfing? A short answer: NO! We know that this seems attractive to beginners because everyone is afraid of losing their kiteboard. Although we highly recommend not to use one because a boardleash can be very dangerous. If you fall, you don't want your kiteboard anywhere near your body because it can hurt you pretty bad. The reason why a boardleash is dangerous is that it can work like a catapult for the board so it comes with high speed towards you and this increases the chance of a serious accident. Even a roll-leash is an unnecessary luxury. Upwind body dragging is a lot easier than it seems and after a while, you can quickly drag back to your board. Practice makes perfect! What should I consider as a beginner when buying a kiteboard? Finding the right kiteboard may seem difficult at first, especially when you are a beginner since the size of the board is really important at that fase. For beginners, we always recommend getting a somewhat bigger kiteboard to help you get going and build up experience while you are at it. A beginner often has a board between 135 and 140cm, depending on the weight of the rider. A small board (under 130cm) could make it a lot harder at the beginning. We also recommend a board with a bit of a rocker profile in it. This makes it easier for you to get on speed and stay on top of the water. Looking for some personal advice or do you have some questions about a certain kiteboard you got in mind? Don't hesitate and call us or send an email to info@kitemana.com.